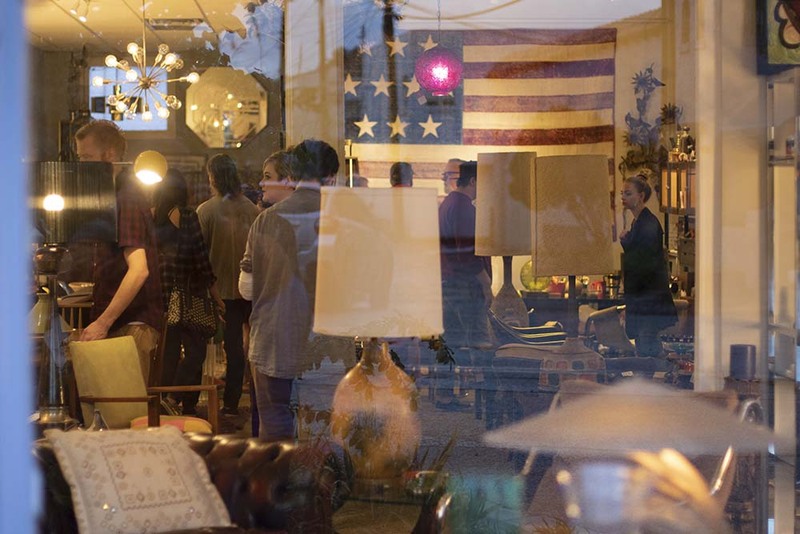 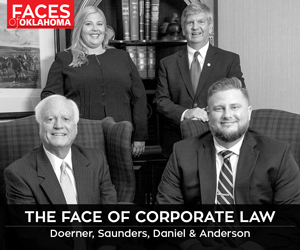 Monthly walks and open houses in Tulsa, OKC and Norman bring local talents to the forefront. 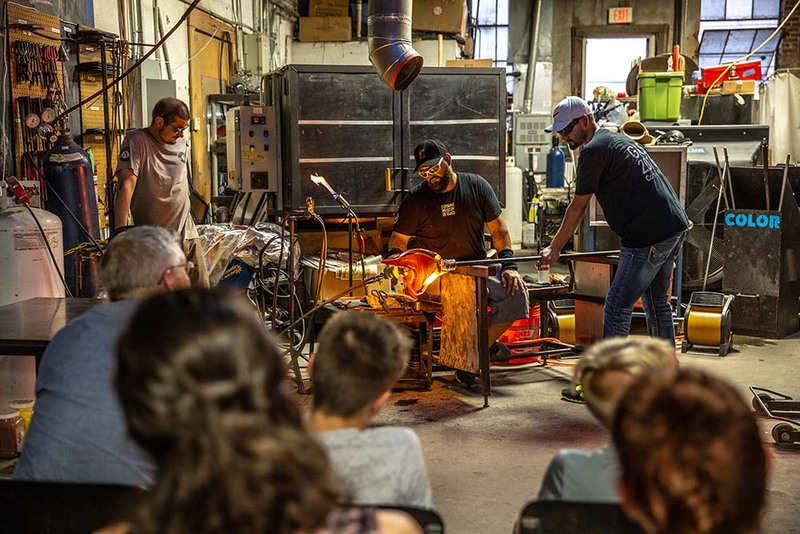 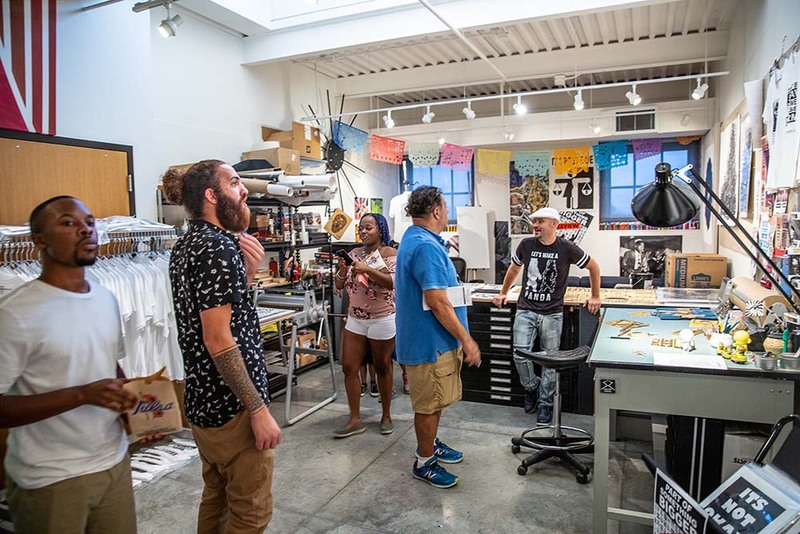 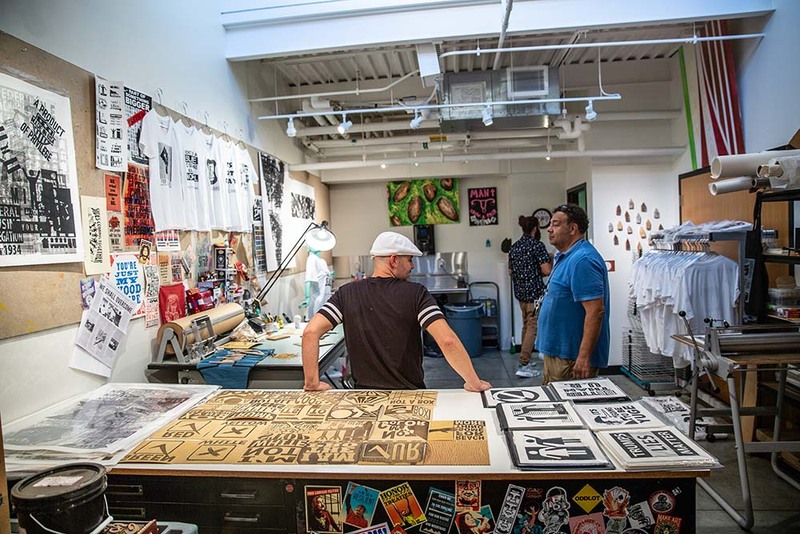 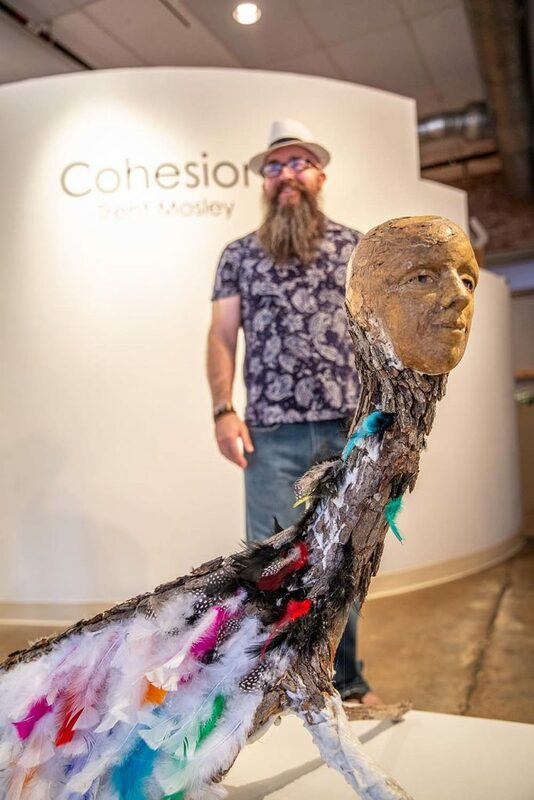 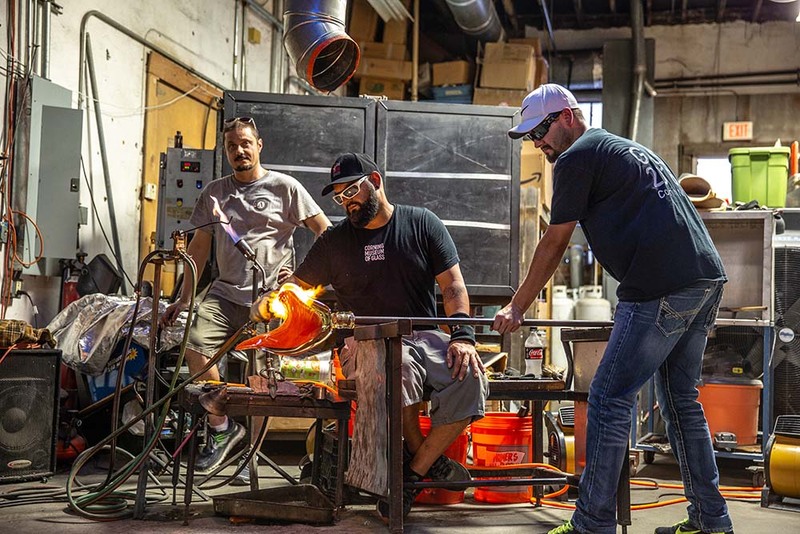 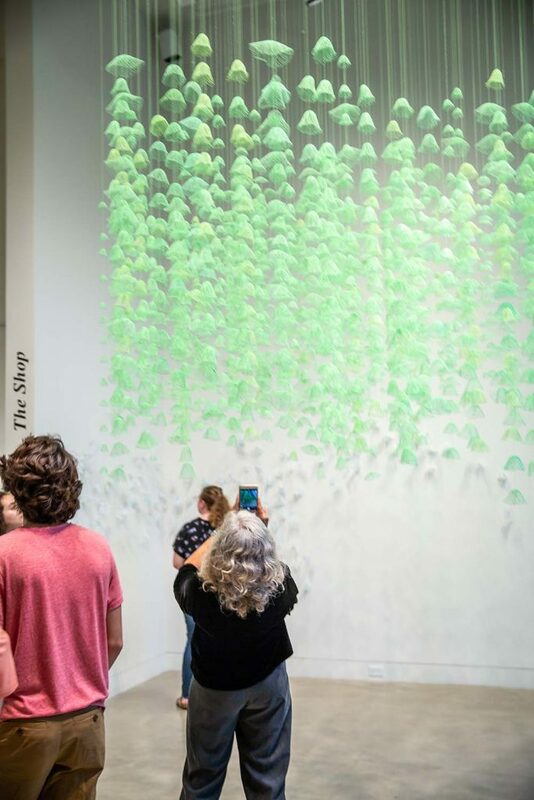 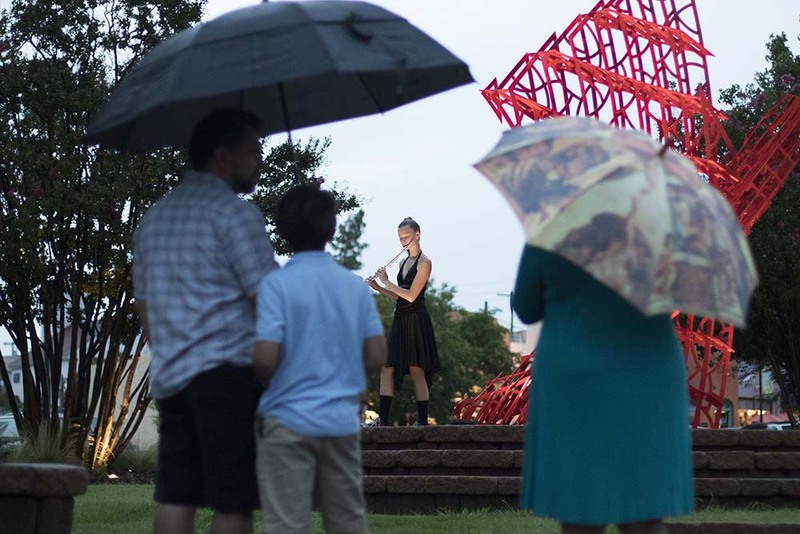 Directors of art walks in Tulsa, Oklahoma City and Norman are sold on these monthly events as ways to expose residents to the creative endeavors of their neighbors and allow artists to reach wider audiences. 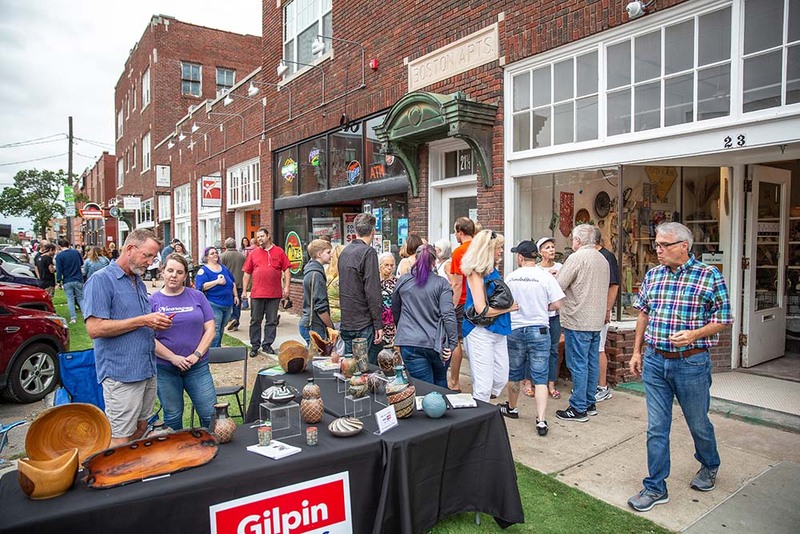 In its 11th year, Tulsa’s First Friday Art Crawl encompasses the performing and visual arts, says Bob Fleischman, president of the Business Association. 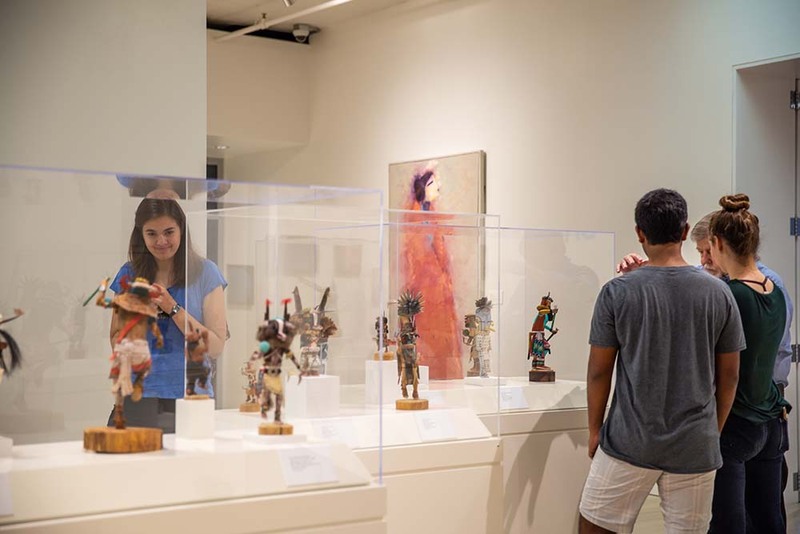 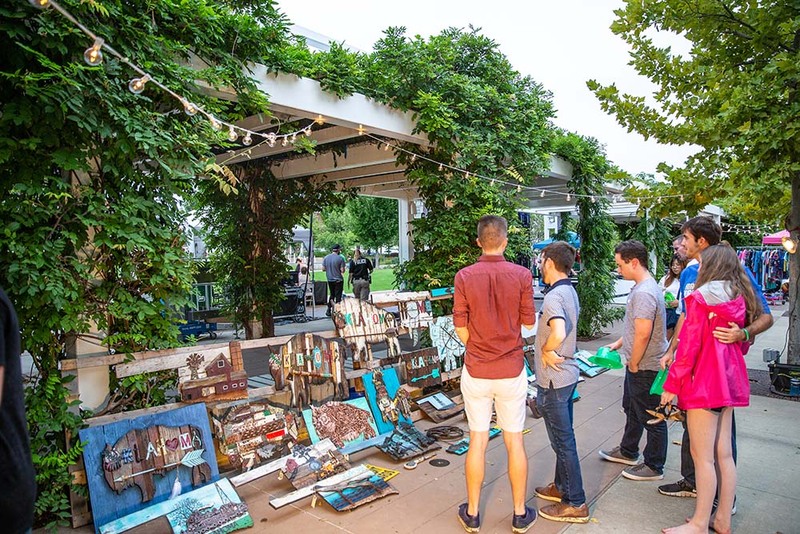 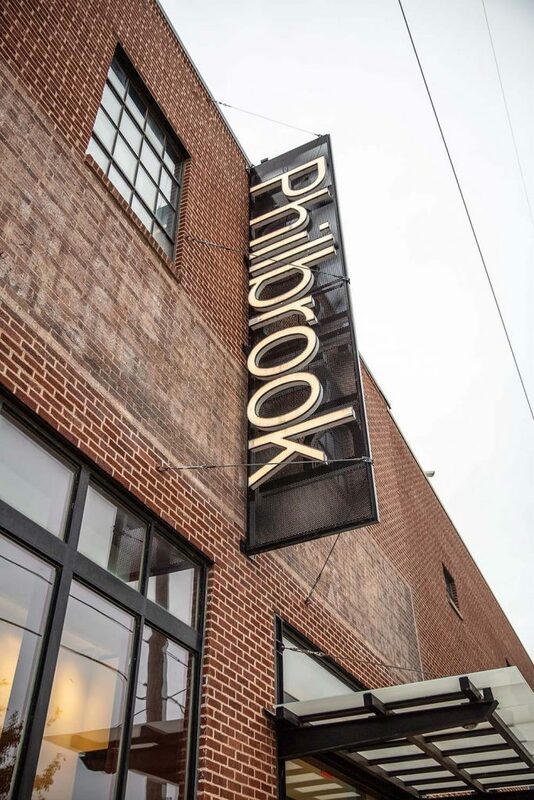 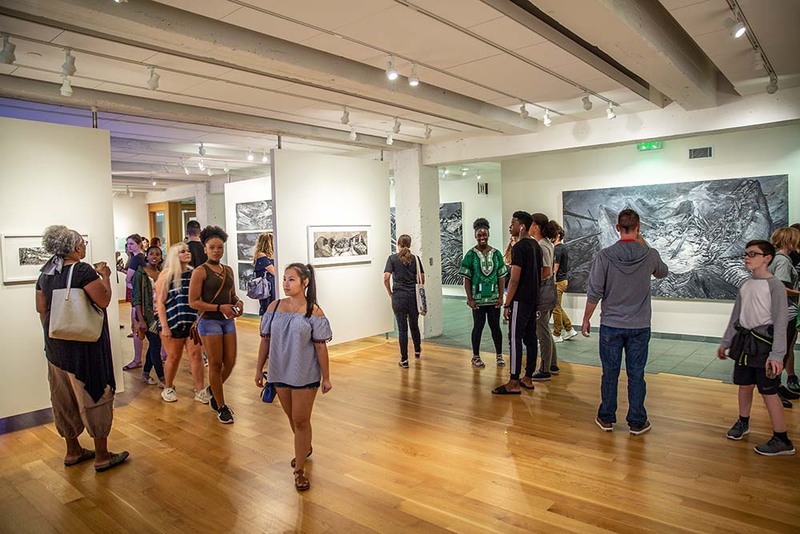 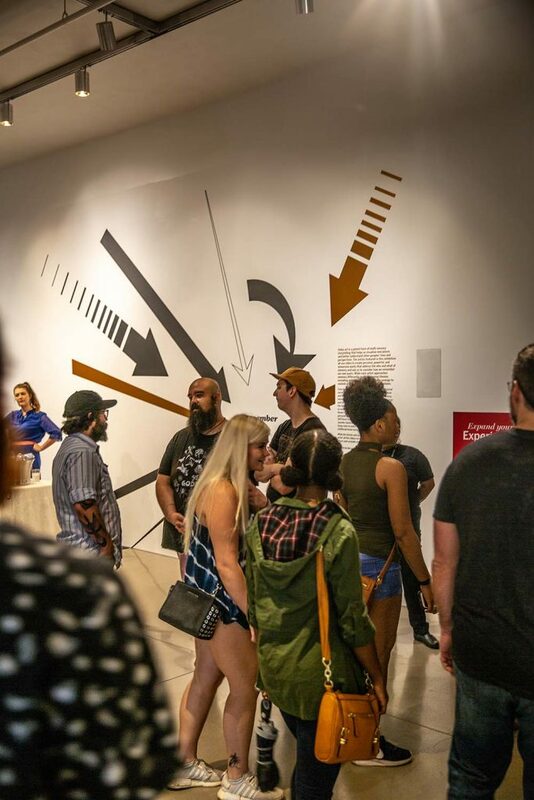 The event, from 6 to 9 p.m. on the first Friday of each month, is on the north side of downtown in the Tulsa Arts District, home to galleries, studios, Guthrie Green, Philbrook Museum’s downtown branch and the Woody Guthrie Center. 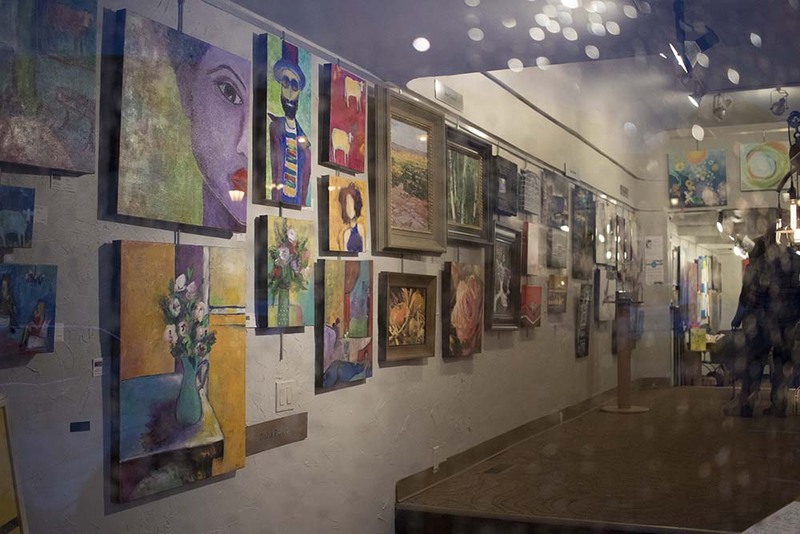 “It brings people to the area who have never been there before, and it gives local artists a venue to show their work,” says Fleischman, who co-owns Chrysalis Salon and Spa, also in the district. 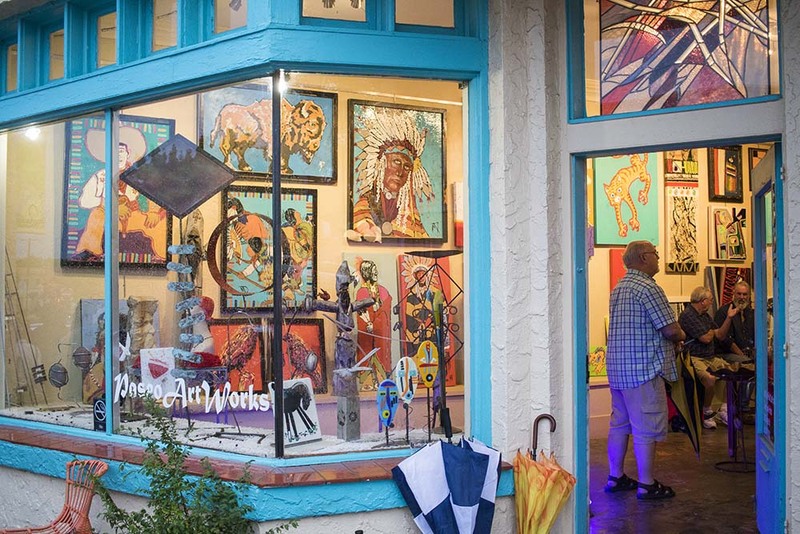 Museums offer free or reduced-price admission during the walk, he says, and many retailers stay open late. 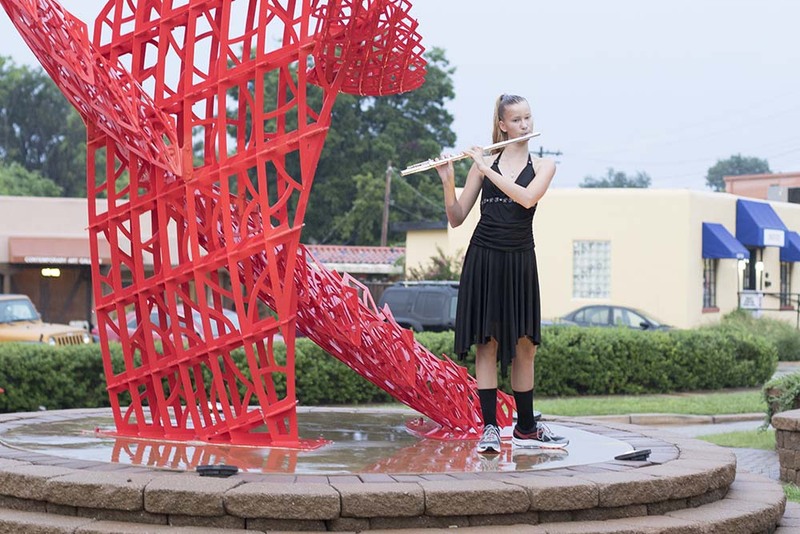 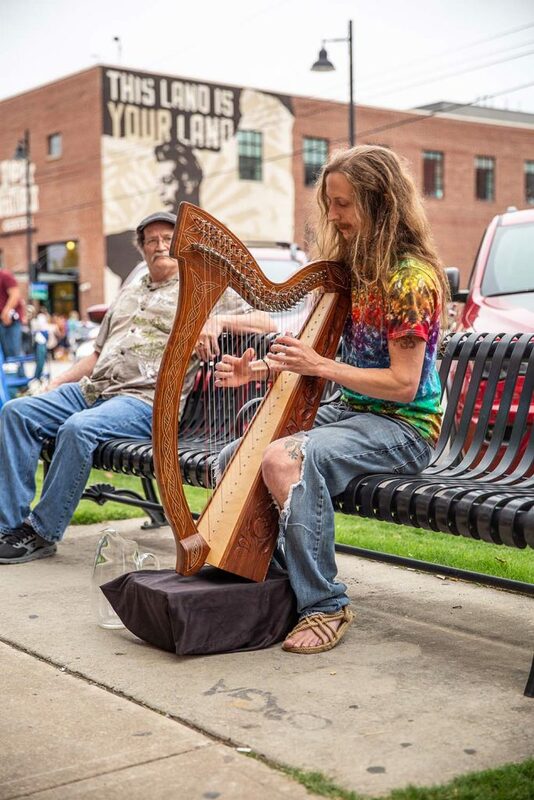 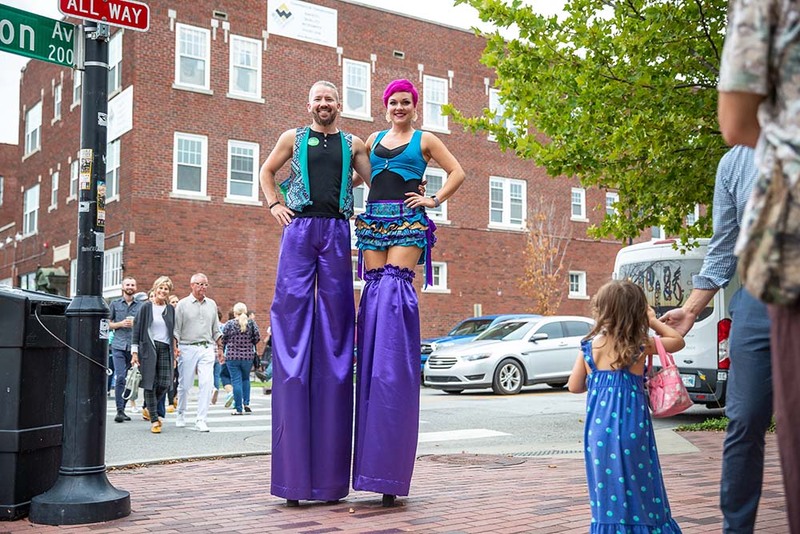 Musicians perform at coffee houses and clubs, and Guthrie Green has events that include special appearances by the Tulsa Ballet and Tulsa Symphony Orchestra. 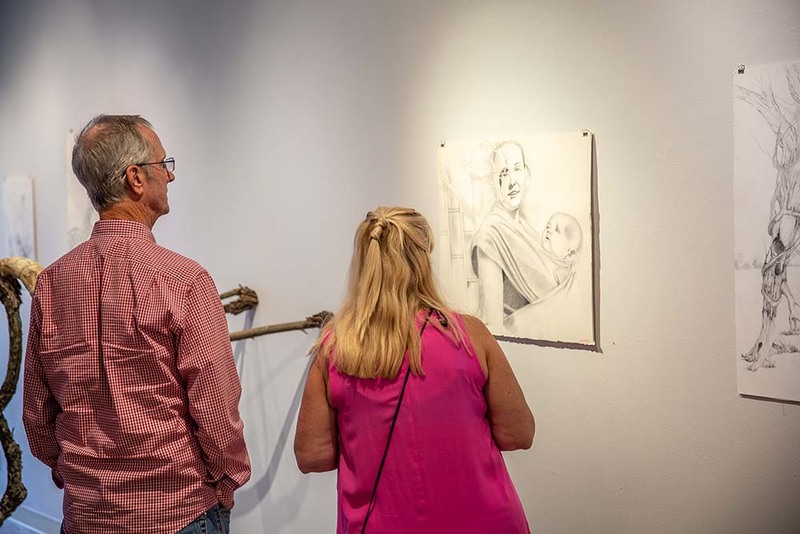 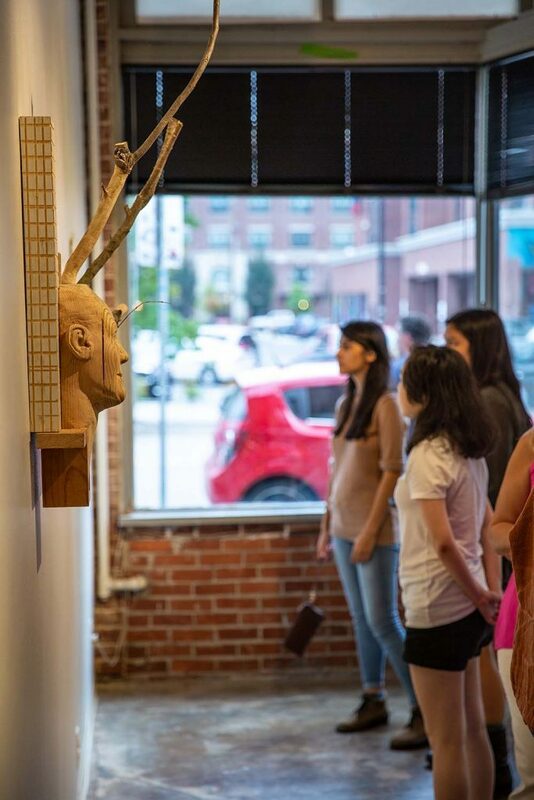 In Oklahoma City, more than 20 galleries and 80 artists take part in the First Friday Gallery Walk in the Paseo Arts District. 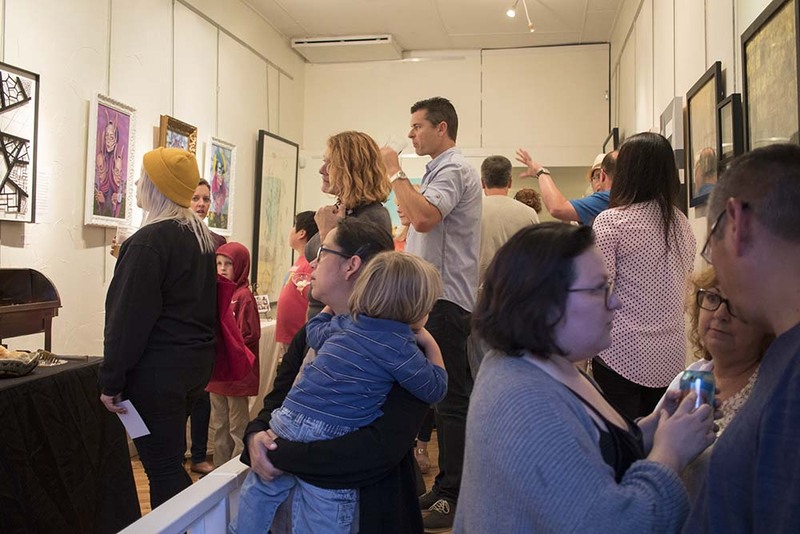 “There’s a new show in each gallery every month,” says Amanda Bleakley, executive director of the Paseo Arts Association. 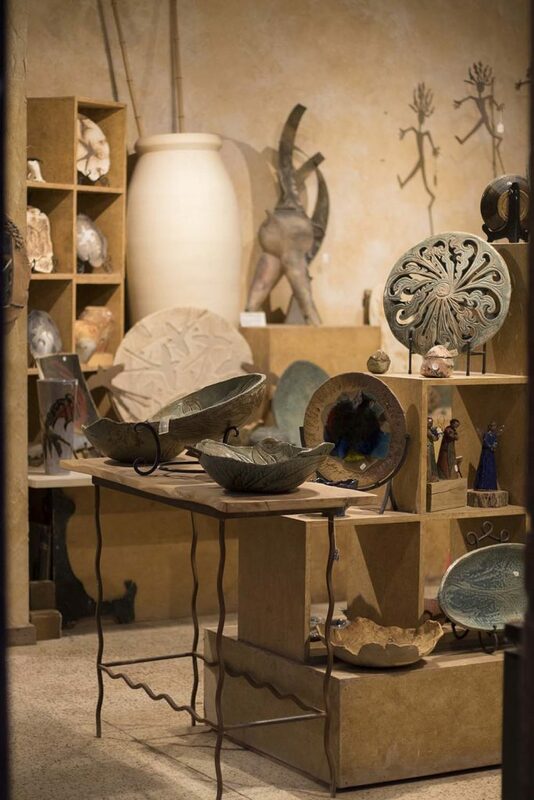 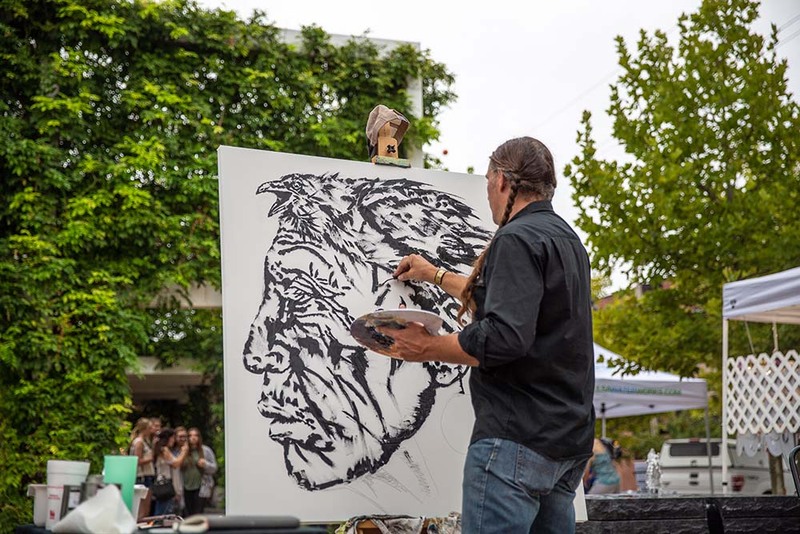 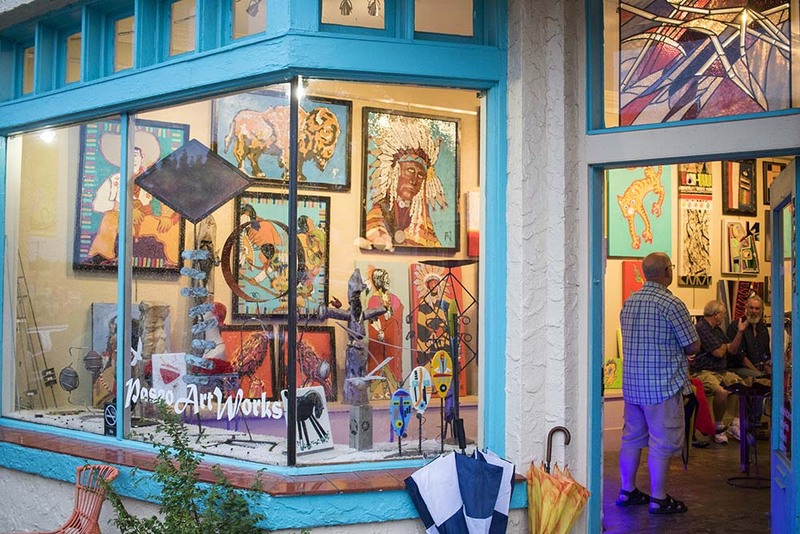 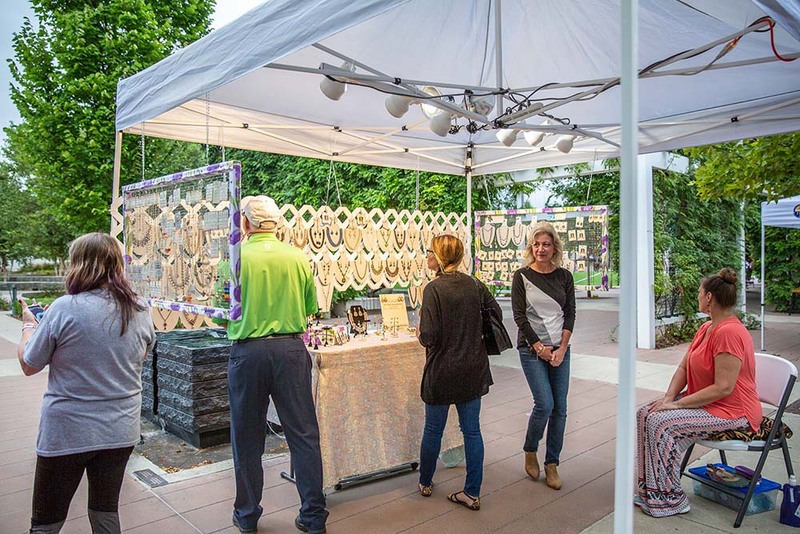 Artists and artisans featured during the 6 to 9 p.m. event offer oil, acrylic and watercolor paintings, pottery, sculpture, photography, jewelry, fiber works and stained glass. 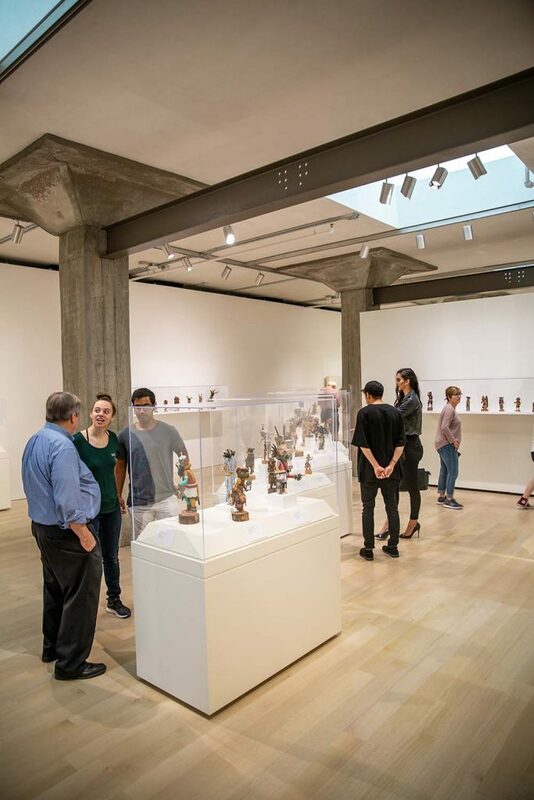 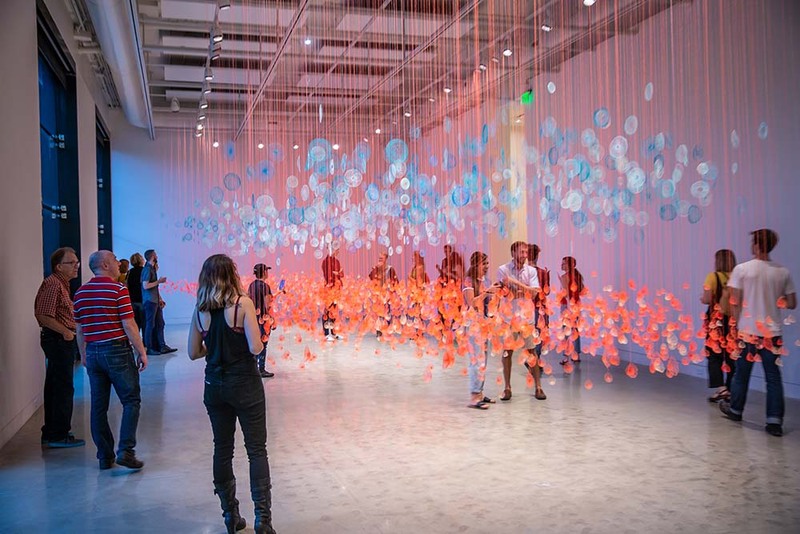 “It doesn’t cost anything, and people get exposed to art and culture,” Bleakley says. 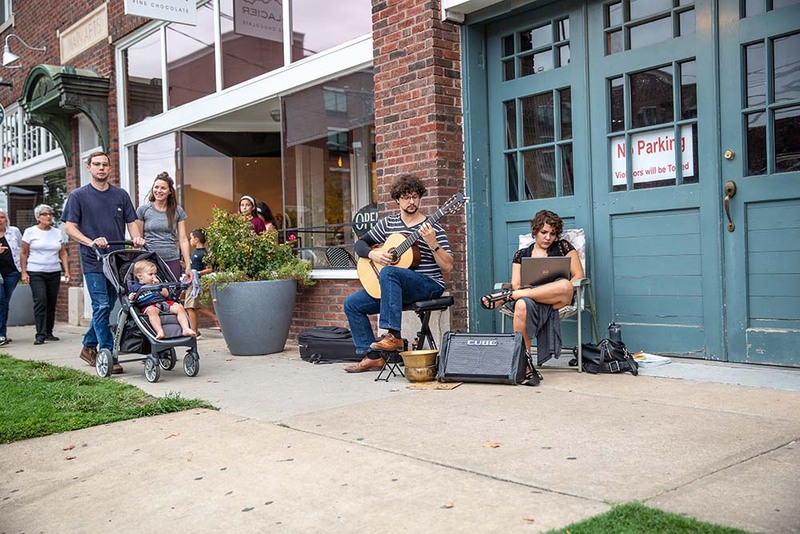 A musician plays from 6:30 to 8:30 p.m., two food trucks are on site and the Paseo boasts five restaurants, with two more in development. 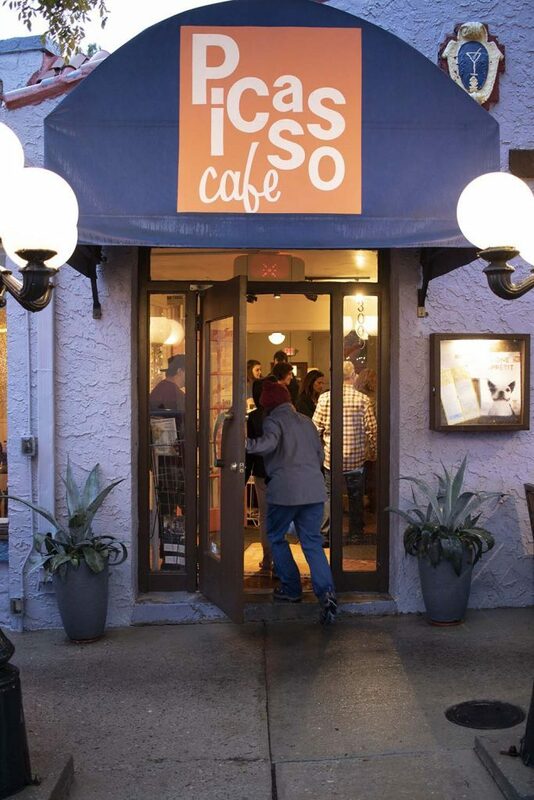 Paseo shops, all locally owned, include Jonque Mode and Betsy’s Shoes, which sell women’s apparel and accessories. 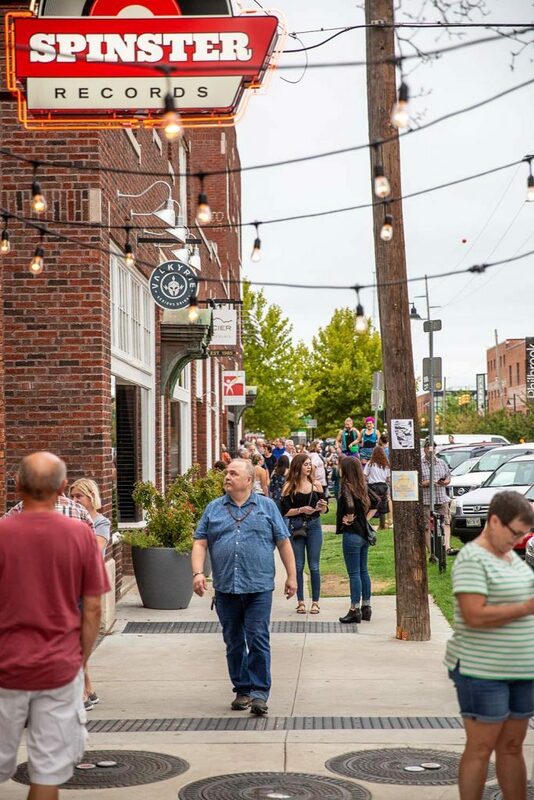 The Norman Arts Council draws an average of 3,000 people a month to the Walker Arts District for its Second Friday Art Walk. 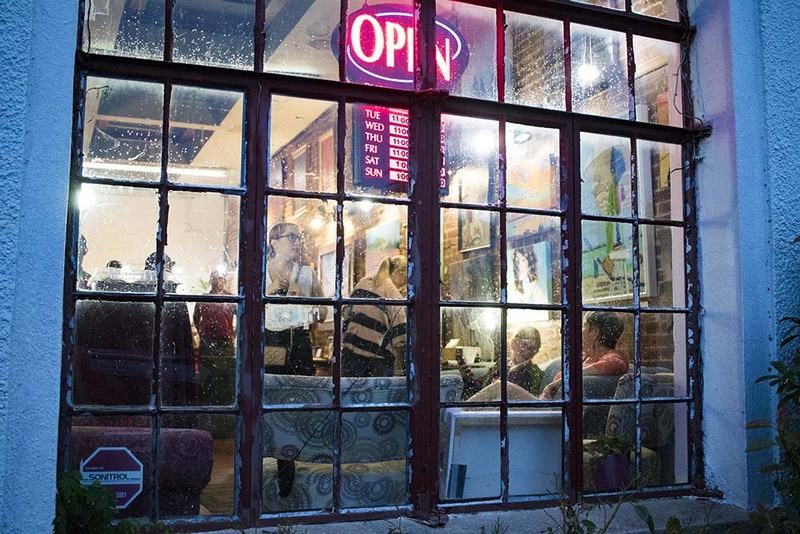 The official hours are from 6 to 9 p.m., but restaurants and bars stay open later and some offer live music, Gavaghan says. 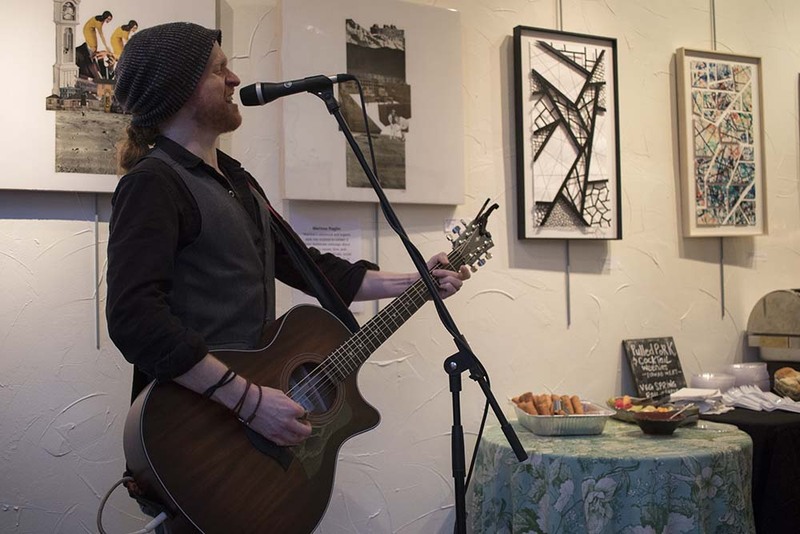 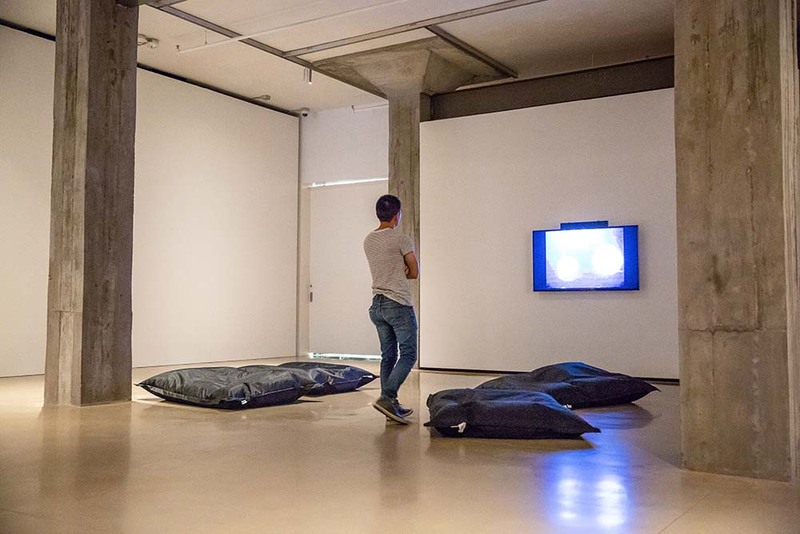 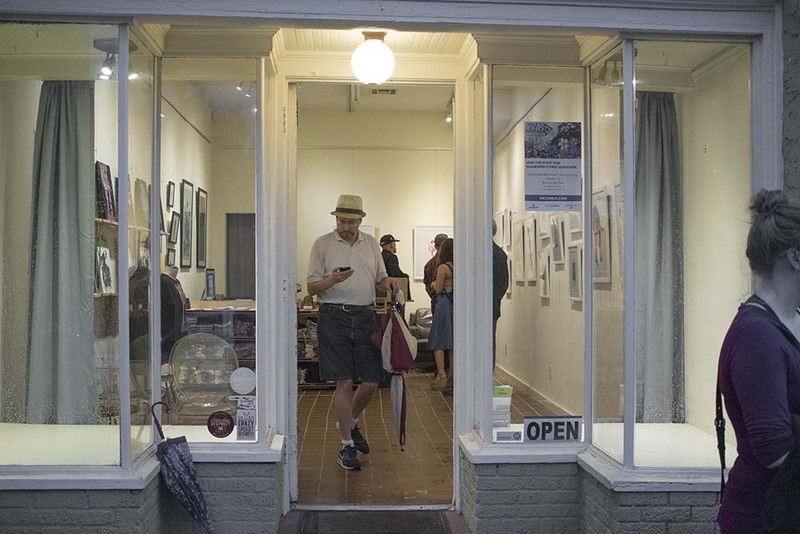 Mainsite, the Arts Council’s gallery, is open until 10 p.m. 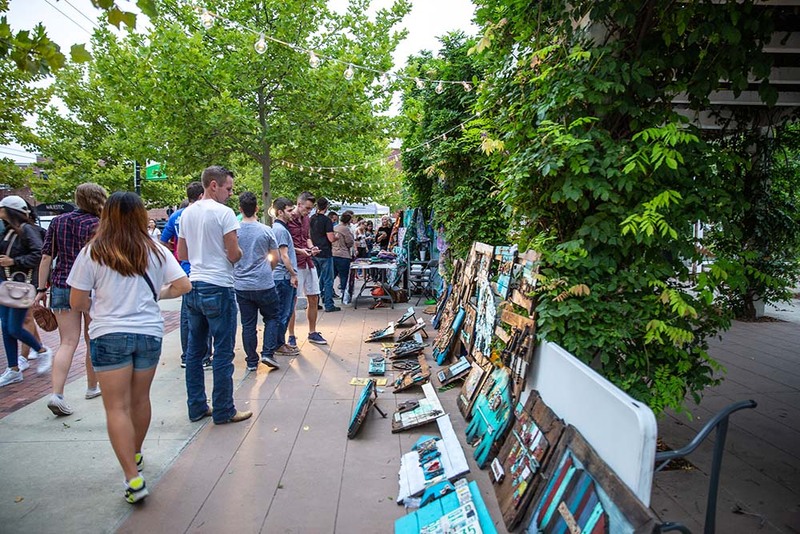 The configuration of the art walk has shifted from the past to allow more food trucks to participate.